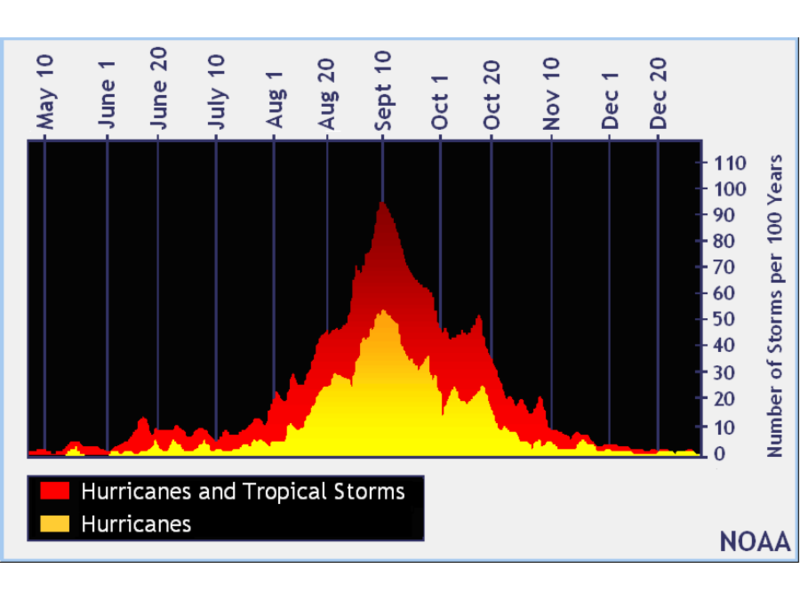 The first two weeks of August are nearly behind us – and so is the quiet part of hurricane season. 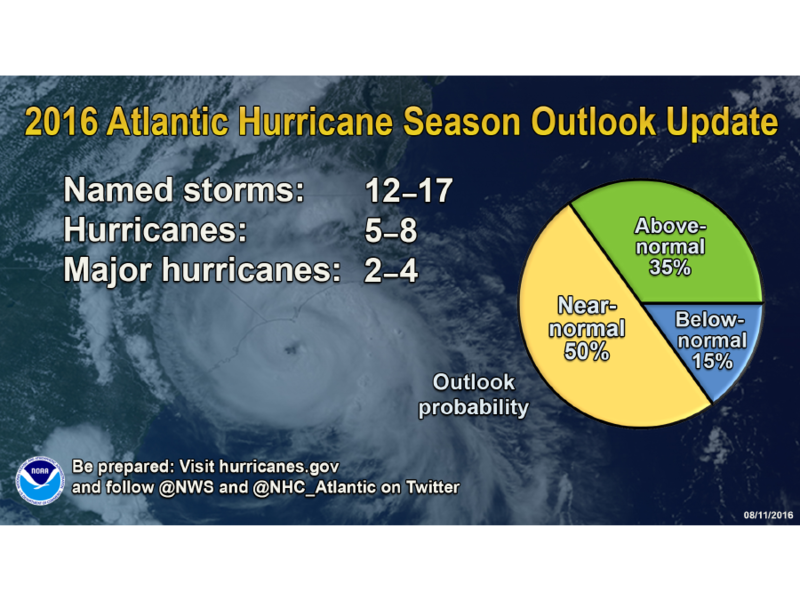 Now, the National Hurricane Center has updated its initial hurricane forecast, and it is calling for a better chance of a near-normal or above-normal season, meaning it'd be the most active season since 2012. In a typical year, the first named hurricane of the season is named around Aug. 10, and it only ramps up from there with the second storm getting named before the month is finished. Two more hurricanes are typically named in September, one of which goes on to become a major hurricane during the most active part of the season. 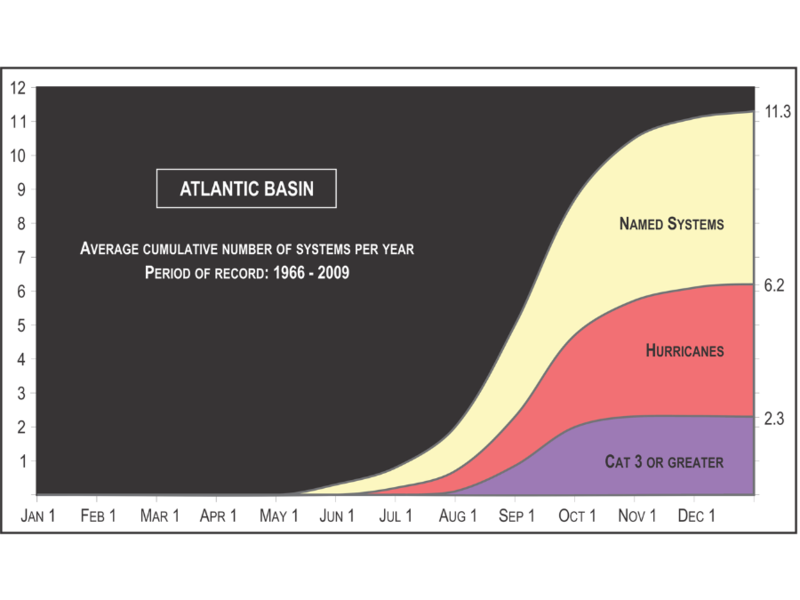 This season has been a little unusual since the first hurricane formed in January followed by three tropical storms in June. The second hurricane, Hurricane Earl, formed in early August. According to this latest forecast, that means we have between seven and 12 more named storms, three to six could become hurricanes and two or more of those could reach at least category 3. Regardless, once hurricane season begins to pick up, we'll at least make it to tropical storm Lisa, and we could make it as far as Richard! Hurricane season may have started early this year, but it'll really be ramping up over the next month. In the meantime, everyone living on the coast is keeping a close eye on the Gulf of Mexico, the Caribbean and the Atlantic.